From the time the reform movement began in the progressive era with concerns about public health and universal access to education, arguments have been raised for and against linking schools and social services, and the merits or otherwise of each system. ; A new argument for the collaboration is that integration will lead to substantially better services than those provided by separate organizations. ; This volume brings together a wide array of cross-national research and public policy issues to focus on a new framework of service provision. 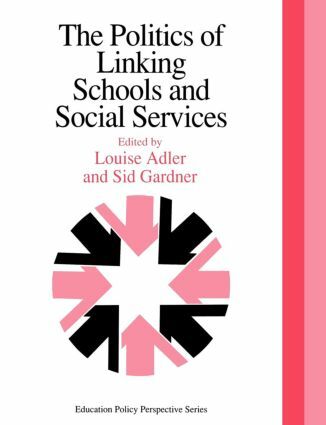 It looks at the different networks of organizations of which schools and social services have been a part, and at the political implications or results of bringing together the professionals from such organizations. It takes into account the constraints resulting from the larger institutional network experience by such organizations. The book also presents a range of perspectives on the way preparation is followed by four responses that present somewhat varying points of view. ; The contributors come from a wide range of experiences including specialists in politics of education, law, urban studies, children's issues and those providing reflections on practical experience. The Norwegian case: child-centered policy in action? Using public policy to impact local practice, can it work?